The first plank on the boat is called the kajiki. In the West we would call this the garboard plank. After propping it securely in place, we did the saw-fitting technique used earlier when we assembled the bottom plank from two pieces. 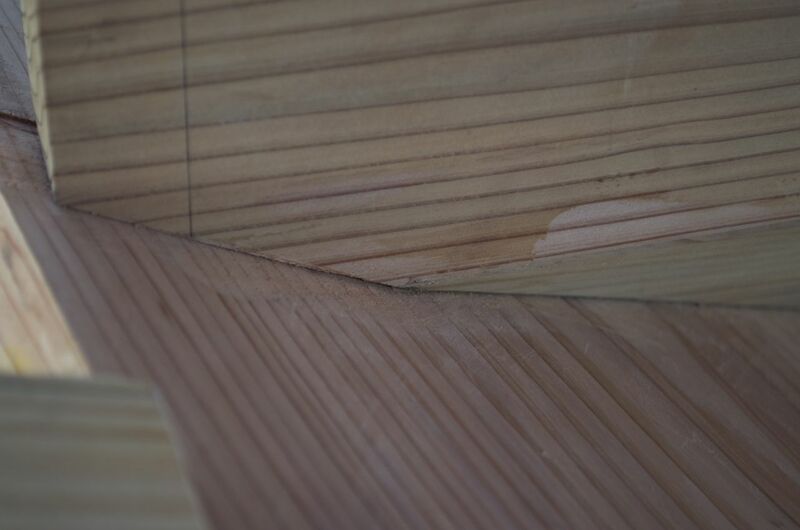 This is especially difficult between plank seams, in part because the seam curves, but more because at any moment you can be sawing against the grain of one plank or the other, and this has a tendency to catch the saw and carry the blade into the plank. 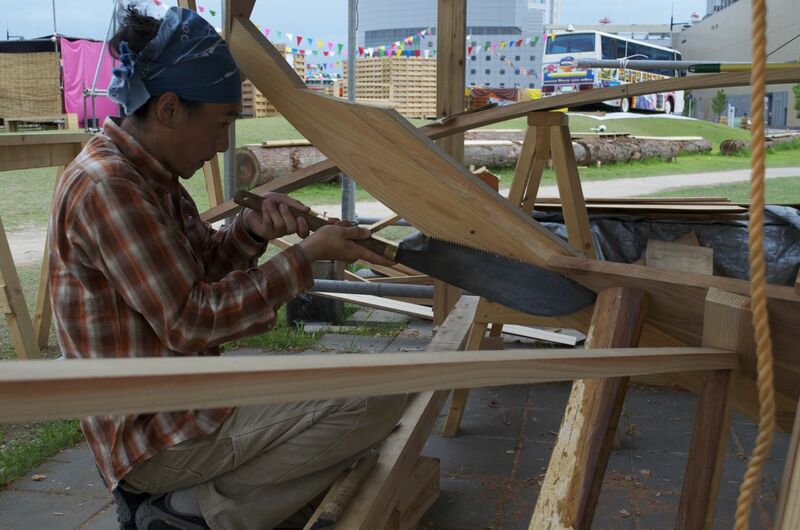 My apprentice Takumi Suzuki spent most of the day sawing the seam for the first kajiki. He had to carefully position wedges to open the seam up enough to not pinch the sawblade. It is slow work, not to be rushed, because we are going for a watertight fit. 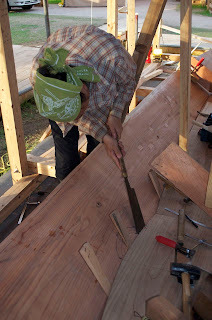 I worked fitting the plank at the transom and stem. One photo show the fit at the transom after sawing the seam. We also sawed along the stem rabbet, and then pounded the plank at the aft end with a mallet, slowly moving it tight into the rabbet joint. Note in these photos you can see the interesting shape to the bottom plank (called here the kawara). Aft of our joint the plank rises, and this creates a rounded shape aft in the kajiki. This is a tricky spot to both lay out and get fair, and is probably far too much to explain in a blog posting. Sorry. Now that the plank has been fit we can begin the process of nailing it.